The program provides $350 a week for up to 35 weeks to parents of murdered or missing children. OTTAWA — Millions of dollars in federal cash earmarked for the parents of missing or murdered children have gone unspent — a clear sign that the program is in need of repair, says the federal ombudsman for victims of crime. Federal documents show just $166,320 has actually gone to families in each of the last two fiscal years — less than one per cent of the $20 million budgeted for the program over that time frame. Victims of crime ombudsman Sue O'Sullivan has plans to conduct a systemic review of the program to find out why money isn't going to families who could use the financial help after dealing with a tragedy. The money is delivered through the employment insurance program and can be taken by either parent, or shared by both. "Canadians pay into this program and it's to be there for you when you cannot work and certainly victimization is one of the reasons and circumstances that you may not be able to work," O'Sullivan said Wednesday. The three-year-old program, set up by the previous Conservative government, provides $350 a week, before tax, for up to 35 weeks to parents with children under the age of 18 who have been killed or have gone missing as a result of a criminal act in Canada. The government has estimated that it needs to budget $10 million annually for the program. "Canadians pay into this program and it's to be there for you when you cannot work." Briefing material provided to Families Minister Jean-Yves Duclos suggests officials overestimated the number of families that would need the program, with application numbers being "significantly lower than originally forecasted." The documents, obtained by The Canadian Press under the Access to Information Act, show officials are reviewing how much they budget for the program. Victims groups say there are a number of reasons for the lack of uptake: the scope of the program is too narrow, excluding families with children over 18 who are murdered, for instance, and who could use the financial help. O'Sullivan pointed to crime statistics that show few children under age 18 are murdered annually. 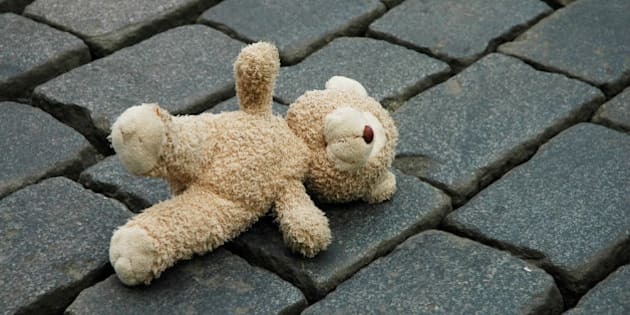 Homicide figures from Statistics Canada show that between 2010 and 2014, an average of 51 children were victims of homicide each year — about nine per cent of all homicides in Canada during that time. The highest rates were found for Canadians aged 18 to 24, followed by those aged 25 to 34. The government also limits payments under the program to within one year of the incident. Heidi Illingworth, executive director of the Canadian Resource Centre for Victims of Crime, said eligible families should be able to receive payments over two years and break up the payment schedule if necessary. "For example, take a year immediately, perhaps, and then take more time when the trial comes," Illingworth said. "Sometimes the trial can be (three to five) years after the homicide." There is also a general lack of awareness about the program, said Joseph Wamback, founder of the Canadian Crime Victims Foundation. "We need to make every victims agency service in Canada aware of it," Wamback said. "How long would that take? Twenty minutes? Through an email blast?"